For over 25 years, we’ve changed home security. We cut out the middlemen, the door-to-door installation guy, and passed the savings and control to you - our customer. We found a better way to do things, not cutting corners or reducing quality. 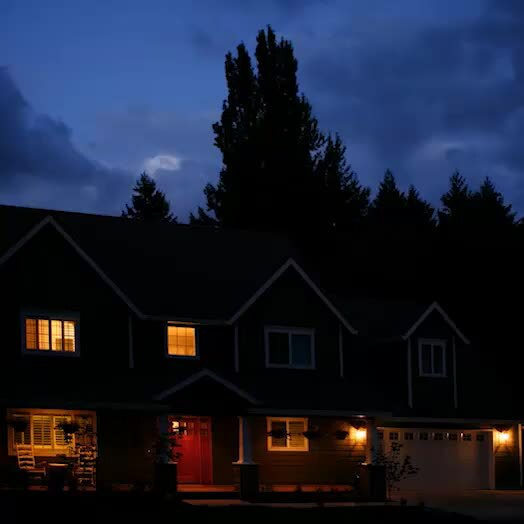 We protect homes and families with affordable, monitored 24/7 home security. Creating the best security system possible to solve real problems. All our systems are professionally monitored 24/7 by a 5x redundant system so you can rest assured that your home and family are safe at all times. checkComplete perimeter protection with door, window, and glass break sensors. checkInterior motion detection that use both heat and movement, intelligently alerting monitoring professional of intruders. check24/7 live video monitoring through our simple to use security cameras with two-way voice capability. checkLife safety features with monitored carbon, heat, and smoke detection equipment. checkAlways connected home anytime, anywhere with our smartphone mobile apps. Custom built and shipped straight to your door. Installation in less than an hour. Keeping your family protected night and day. A truly protected home is a monitored home. Without monitoring, your security is just a glorified noise maker. We use triple redundant monitoring stations across the country to keep you safe. Professional home security monitoring is the best, most secure solution for keeping your home and family safe. Your sensors detect an intruder and send an alert to your control panel. The control panel contacts the monitoring center with an alert signal. Security experts receive the signal and call you before notifying authorities. You either cancel the alarm, or approve police dispatch to your home. Unlike self-monitored systems, only a professionally monitored security system sends emergency response when an alarm is triggered. Simple and easy-to-use security systems. Right from the start, your Protect America system is built to help you.